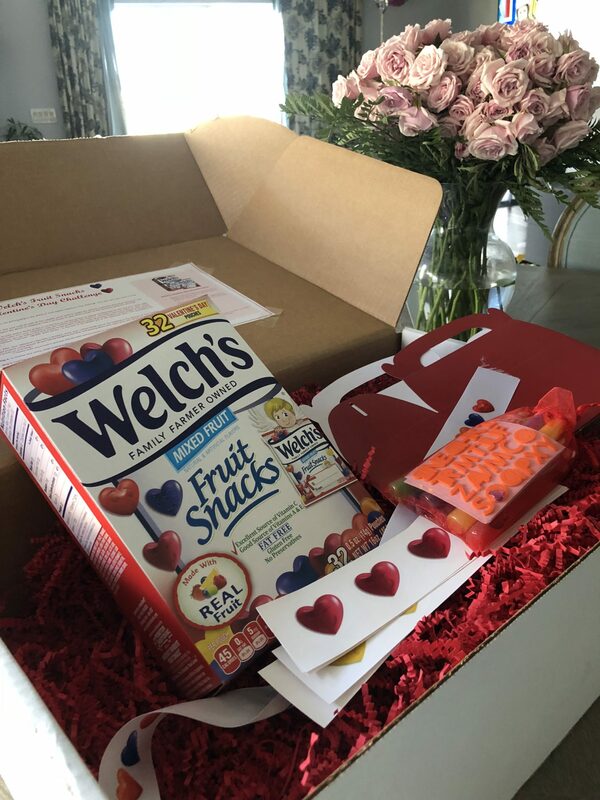 Thank you Welch’s® Fruit Snacks for providing product for today’s post. As always, all opinions are my own. You guys. 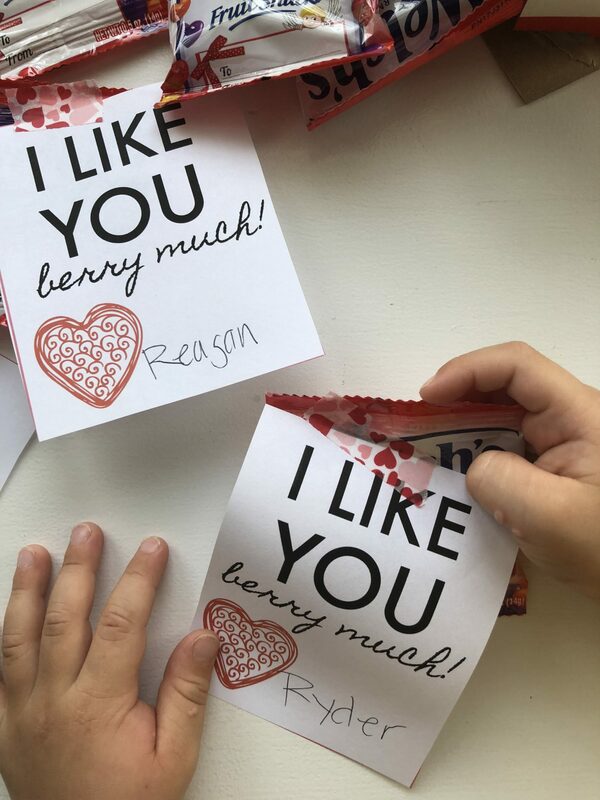 I absolutely love coming up with cute Valentine’s printables, and now that my son is in school I’m having a hard time controlling myself. DIY all the things–especially Valentine’s! He still doesn’t fully get it yet, but I think after he exchanges cards with friends he will totally get the concept. 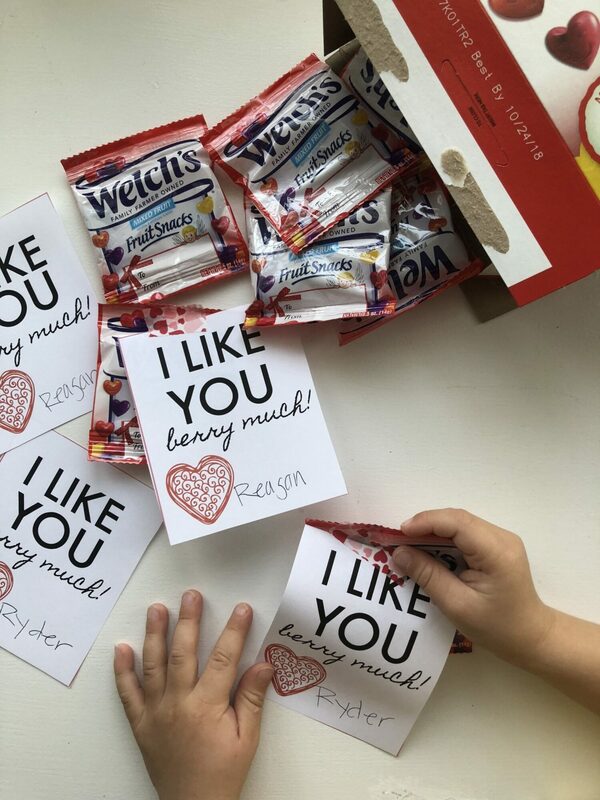 My friends at Welch’s® Fruit Snacks sent me a goody box of crafting supplies to create a Valentine’s Day carrier for my son to bring to his class plus a box of Welch’s® Fruit Snacks to hand out! They are my go-to classroom exchange option. Welch’s sent all sorts of fun craft supplies but I kept it to the stickers with my 3 year old. He’s been on a sticker kick lately so he loved it! It was also a good activity to practice spelling his name. Although–he’s convinced their is an “x” in Ryder. While he decorated his box I printed out and cut the printable Valentine’s. Then he helped me stick them on to the Welch’s® Fruit Snacks. I used washi tape so we could easily re-adhere the printable if they weren’t placed on all the way! 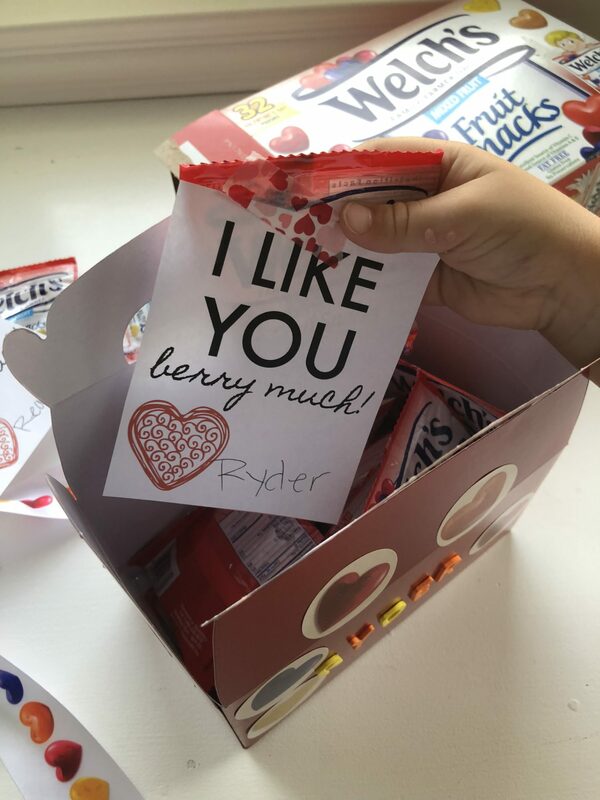 He placed all his Valentine’s in his box so he can bring it to school and pass out to his friends. 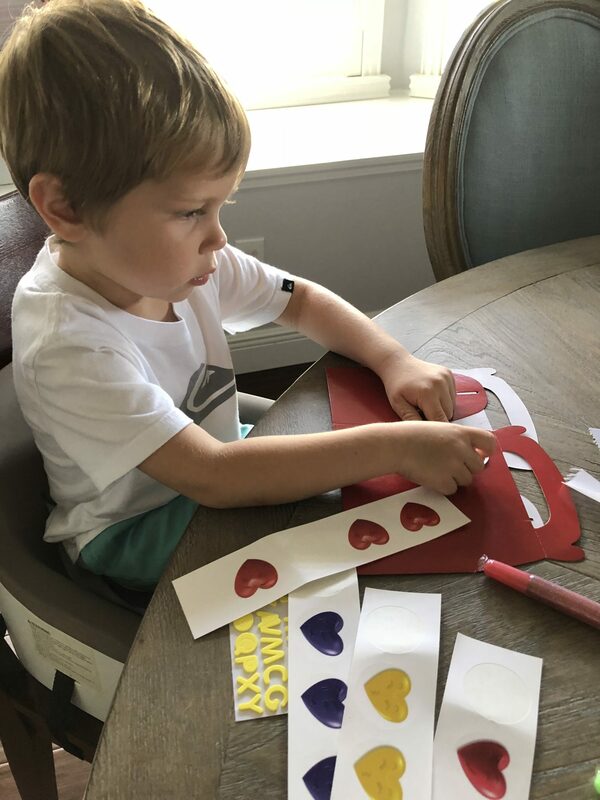 Super fun and simple Valentine that you can get your toddler involved with.